Per poter scaricare la documentazione richiesta devi lasciarci il tuo indirizzo email. To download the required documentation must leave your email address. Din Rail Patch Panel with 6 SC Duplex adapter is metal box special designed to be snapped on din rail. DIN RAIL fiber box accepts one modular panel making it ideal for smaller fibre count applications of up to 12/24 fibers. 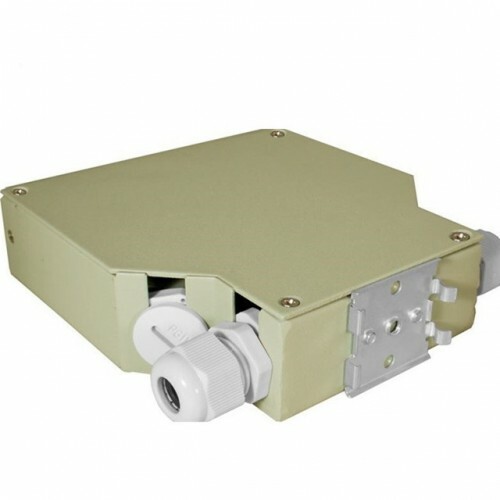 This compact enclosure makes it possible to direct terminations or fusion splices in much smaller protected areas.